Published on: February 20, 2019 | J. Bradley Smith, Esq. When facing criminal assault, battery, or any other type of charges, defendants often claim self defense. When claiming self defense, a defendant is stating that the party claiming to be the victim was actually the aggressor or initiated the conflict that resulted in the need for defense of person, family, or home. In order to prove this, evidence needs to be presented that shows the victim was the one who initiated the conflict. In State v. Bass, the North Carolina Supreme Court stipulated types of evidence that are not permissible in self defense cases to prove provocation. Published on: February 21, 2018 | J. Bradley Smith, Esq. Stand Your Ground laws have been around for more than a decade now, with Florida serving as one of the first states to pass such legislation back in 2005. Though not a novel concept, the laws are new in some states. In these places where the laws are new, the local judiciary may be unfamiliar with how to apply the laws, meaning there is a bit of a learning curve in the months and even years following passage. This can be problematic for both prosecutors and defendants, as neither knows what to expect. Published on: December 6, 2017 | J. Bradley Smith, Esq. When you think of deadly weapons most people imagine the classics: guns and knives. Crimes that include heightened penalties for being committed with deadly weapons thus typically involve defendants who had a gun or knife in their possession at the time. Though this is true in many cases, there are plenty of other items that have been deemed deadly weapons. The Florida Supreme Court will soon weigh in on this issue and decide whether an automobile ought to be deemed a deadly weapon. Published on: August 2, 2017 | J. Bradley Smith, Esq. It can sometimes seem like we have seen it all before. This is especially true in the criminal law world, where crimes are seldom novel, but often sad cycles continually repeating themselves. Though this is true in some cases, a recent prosecution in Massachusetts demonstrates that individuals can still find new ways to run afoul of the law and, when that happens, it can raise important questions about how these groundbreaking cases ought to be handled. Published on: April 9, 2016 | J. Bradley Smith, Esq. A North Carolina state appellate court released a ruling this [week] refusing to accept the defendant’s claims that he was provoked into killing his girlfriend because he was jealous of her relationships with other men. The Durham County Court of Appeals’ decision in State v. Chaves provides too good an example of the elements required for a voluntary manslaughter charge to resist discussion, but be warned: the facts of this case read somewhat like a television show or soap opera. Published on: September 24, 2015 | J. Bradley Smith, Esq. 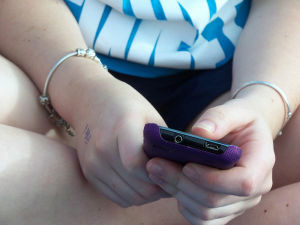 A Massachusetts teenager has been charged with involuntary manslaughter after evidence was discovered that the girl sent text messages to her boyfriend encouraging him to commit suicide. Conrad Roy III tragically took his own life in 2014 outside a Massachusetts K-Mart. Roy died inside his truck, and the cause of death was carbon monoxide poisoning. Published on: August 25, 2015 | J. Bradley Smith, Esq. Charlotte-Mecklenburg police office Randall Kerrick avoided conviction on manslaughter charges last week when the North Carolina jury deadlocked, forcing the judge presiding over the case to declare a mistrial. Experts say it is unclear how prosecutors will move forward, whether they will bring Kerrick up on similar charges a second time or consider other options. Published on: February 24, 2015 | J. Bradley Smith, Esq. The criminal law, it is said, evolves as technology does, and criminal codes and doctrines grow to fit the new circumstances and technologies that criminals, would-be criminals and unknowing criminals commit. It should come as no surprise, then, that longstanding criminal doctrines are being applied to actions taken on devices that have become ubiquitous in modern American life: phones. Except, devices that people carry around these days have come a long way from the banana-sized box lawyer Johnny Cochran made famous carrying around in the early-to-mid 1990s. It is said that the law cannot keep pace with society, evolving about twenty years slower than the culture, but even the United States Supreme Court has caught on to the uniqueness of the modern “cell phone,” calling the devices “minicomputers that also happen to have the capacity to be used as a telephone” in a landmark case last year called Riley v. California. In that case, the high court unanimously rejected the United States government’s position that when a person is arrested, a law-enforcement officer is entitled to seize everything off the arrestee’s phone. The court ruled officers need a warrant to do that. Phones—or whatever one calls them nowadays—are still bringing individuals into criminal jeopardy, however, as a recent case from Massachusetts illustrates. Published on: December 17, 2013 | J. Bradley Smith, Esq. 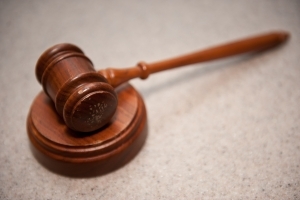 A tragic case in Lincolnton, North Carolina reached its end after a Superior Court Judge dismissed charges against a man related to the April deaths of two young children. The decision means that Jordan Keely Arwood can now put the criminal case behind him and move forward with grieving the horrible loss of his six-year-old daughter and seven-year-old nephew. Judge Ali Paksoy handed down the decision during a hearing at the Lincoln County Courthouse last Thursday. Judge Paksoy determined that there was no probable cause to justify the two counts of involuntary manslaughter facing Arwood and chose to dismiss both counts entirely. The nightmare for Arwood began back in April when his daughter and nephew where playing in their grandmother’s back yard near a large dirt pit that Arwood had been working on. As Arwood continued working on the project a portion of the pit’s wall collapsed without notice, trapping the two young children under a mass of dirt. The collapse was so large that it took emergency responders more than 12 hours to locate the bodies of the children. Investigators in Lincoln County picked apart the case searching for someone to hold responsible for the tragedy. Ultimately, they settled on Arwood, claiming that because the county had never issued any building permits to Arwood that the man demonstrated culpable negligence in their deaths. Published on: September 3, 2013 | J. Bradley Smith, Esq. An officer with the Charlotte-Mecklenburg Police Department has been charged with voluntary manslaughter and is now in custody after authorities say he was involved in the fatal shooting of an unarmed man over the weekend. According to a spokesperson for the department, Officer Randall Kerrick, is now in custody after the victim, 24-year-old Jonathan Ferrell, was killed during an encounter with police after wrecking his car. The police department conducted an investigation after the deadly shooting and determined Kerrick’s actions were excessive, saying that Kerrick did not have the authority to discharge his weapon during the encounter. The deadly exchange began when Ferrell’s car crashed into the woods off Reedy Creek Road. The accident was a serious one and Ferrell was forced to crawl out the back windshield of his car. Police have not yet determined the cause of the crash or the severity of the injuries Ferrell sustained as a result. After escaping the wreckage, Ferrell walked to a nearby home, about a half-mile from the accident scene, where be banged on the door. The woman at home thought Ferrell was attempting to rob the house and called police. Officer Kerrick, as well as two other police officers, arrived at the home a little after 2:30 a.m., believing they were responding to an attempted break-in. Authorities say after surrounding Ferrell, the man charged the officers with one person unsuccessfully firing a Taser at Ferrell. After the Taser missed, Kerrick opened fire 12 times, shooting Ferrell 10 times and killing him almost immediately.